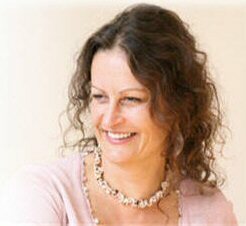 Maire-Claire is a passionate transformational coach and inspirational speaker. She has spent most of her working life coaching others to achieve their dreams. Each month she will bring you tips and tactics on how to live your passion, enjoy loving relationships, feel fulfilled, happy and healthy and to enjoy the life of your dreams. In this, the latest in her series “Clearing Clutter and Making Space for Miracles, Marie-Claire talks about the importance of creating space to allow magic to happen! Today’s pace of life is fast moving. We are all involved in so many different aspects of living. We are simultaneously managing our home lives, our health and our businesses. It is easy to spend your life rushing from one deadline to the next, without ever having time to pause and breath in the pure joy of being alive. I want to continue last month’s discussion on why creating space is so important and why creating space is the sign of a true leader. Like many of you I have a busy diary and I find myself rushing from one thing to another. It was perhaps no surprise then that I was caught doing 34mph in a 30mph speed limit and I was invited to attend a speed awareness course. Fortunately for me my driving instructor was hugely inspirational. He explained to me the value of maintaining a respectable space between my vehicle and the one in front of me. “If you follow the car in front too closely,” he explained “you lose sight of the road ahead and you have less vision”. I immediately saw the parallel in how we live our lives. By following the pack and playing safe we can easily lose touch with our true purpose and direction. It takes courage to be a leader. If you have someone driving up your bumper , maybe late for an appointment, and they are beeping their horn and demonstrating their annoyance at the speed you are taking, you have to be OK with that. No one is going to thank you for causing them to drive slower than they wished to, even if a part of them does know that it is safer and wiser to do so. Only you may be present to the difference you are making. A leader does what they know is the right thing to do because they know in themselves that it is the right thing to do. They don’t act in order to gain approval or reward. They act for no better reason that to be true to themselves and the largest vision they have for themselves. How do we really know when we are being true to ourselves? How do we get to that position where we can see the bigger picture? We create space. This week I experienced an amazing high of facilitating a day of breakthroughs for a number of individuals. The day had started at 4.30am. I wanted to be up early to make sure that I had everything perfectly in place. In order to cause miracles, we need to create a space where miracles can occur, easily, and it takes thought and preparation. It was a long day and yet hugely rewarding, I watched people experience significant shifts in the way they were being. It was as though we had started off on a dark rainy day and then found ourselves, at the end of the day, in the sunshine and blue skies of paradise. The next morning I started early with a coaching call at 7am and a run to the gym. It was pouring with rain and despite the recent appearance of daffodils, winter seemed to have returned. At 11am I collapsed exhausted onto my sofa. I turned on the television and for twenty minutes I sat slumped in front of daytime TV, wondering what was going on. Where was the driving force and motivation of yesterday? Where was the energy of someone who knows they can make a real difference to others? I called my coach. This is when the true value of having a coach really kicks in. I recognized that I was stopped in my tracks but I didn’t understand why. With the support of my coach I got to see how I hadn’t taken space to acknowledge myself. I had been so involved with the activities and breakthroughs that I was causing, that I hadn’t left a moment to check in on me and how I was feeling. Now sitting on my sofa, resting my eyes, I could take time out to acknowledge the difference I was making to others. This might be a good moment for you too to pause and acknowledge yourself for the difference you are being in the world. Whether you are a Mum or a teacher, a philanthropist or an entrepreneur, who you are being is someone who makes a difference in the world, and it is time to really acknowledge your greatness. Go on, give yourself a big hug of acknowledgement. It took some coaching before I could also acknowledge the feeling of disappointment that was present. Several people hadn’t shown up for the day although they were expected. Although I understand that in the bigger picture, everything happens perfectly, in that moment what was there for me was disappointment. Being a naturally positive and optimistic person, that was a tough one for me to acknowledge. Without taking the space to be fully present with what was there for me, I would have hurried on through life, and the disappointment would have seeped out in other ways. Instead of being straight, I may have found myself complaining that I was tired and blaming it on all I was doing for others. Or I may have been quietly resentful towards those who hadn’t showed up and it might have surfaced as sarcasm or bitterness in my conversations. By taking the space to acknowledge what was there for me, I could then deal with it and move back into being a powerful leader in my life. I called one of the people who hadn’t shown up. I expressed my disappointment. Without anger or resentment. Just simply as it was for me. And we shared a beautiful conversation, where I got to share how it was for me, and even more importantly, I got to understand how it was in his world. And in that space we created an intimacy that hadn’t been possible before. In that space we created new possibilities. And I realized how much I needed to create space for me , to acknowledge my own needs and to be honest and courageous in expressing my truth…and in doing so, I create the space for others to be authentic and true to themselves. In that space miracles become possible. If you have read the Law of Attraction and it hasn’t been working for you, get really clear on what you want and behave accordingly. Today I coached a lady who told me that she wanted to enjoy a loving committed relationship. However what she said and how she was being in her life were inconsistent. In putting up with a less than perfect relationship, she was sending out mixed messages, and then complaining that the Law of Attraction didn’t work for her. Look at the area in your life that isn’t working and take a step back to look at how you have been living. Is it consistent with achieving your dreams? Or are you simply following the person in front of you because you don’t trust your own judgment? Take a moment to check in with how you are feeling. Acknowledge the good feelings and also those feelings that you don’t want to acknowledge because you think they are too ugly. They are the clues to becoming authentic. When you are authentic, and truly in your own space, not that of another, then you become a leader … and miracles start to occur, naturally.